A St. Patrick's Day decoration. St. Patrick’s Day revelers looking to extend the party this weekend will be out of luck when riding New Jersey Transit, which will implement a strict no-drink policy this Saturday and Sunday. Though Philadelphia had its own parade to commemorate the holiday last weekend, the NYC St. Patrick’s Day Parade doesn’t kick off until the actual holiday, this Saturday, March 17, and NJ Transit officials want to be prepared in the face of the many Philly and New Jersey natives expected to make the trip to New York this weekend. It's March Cheese Madness at Di Bruno Bros.
With that in mind, according to NBC10, NJ Transit announced all beverages will be banned from the trains this Saturday and Sunday. That not only means no blatantly obvious plastic cups, but also no bottles, no thermoses, no adult sippy cups… nothing, open or closed. The rule will be enforced on trains, buses and light rail. NJ Transit trains will run according to a typical weekend schedule. The parade is expected to draw about 2 million spectators. Unless March 17 falls on a Sunday, the parade is almost always held on the actual day-of holiday. With the holiday and the parade on a Saturday this year, it’s safe to say officials may have their hands full with more rowdy day drinkers than usual. Whether you’re headed to New York this weekend or not, take pride in the fact that despite the NYC parade’s long history – the first one was held in 1762 – Philadelphia outranks New York as one of the best destinations to celebrate St. Patrick’s Day. According to a recent WalletHub study, Philadelphia ranks third in the nation – outranked by Chicago and Boston, accordingly – while New York falls at No. 5. In fourth place is Buffalo. This is a generous upgrade for Philly, which ranked No. 9 out of 200 in 2017. Unfortunately, Philadelphia doesn’t rate so well when it comes to safety during the celebrations. According to WalletHub, Philly’s Safety & Accessibility rate push the city to No. 45 nationally, the score composited in part by crime rates and DUIs. And though the city is No. 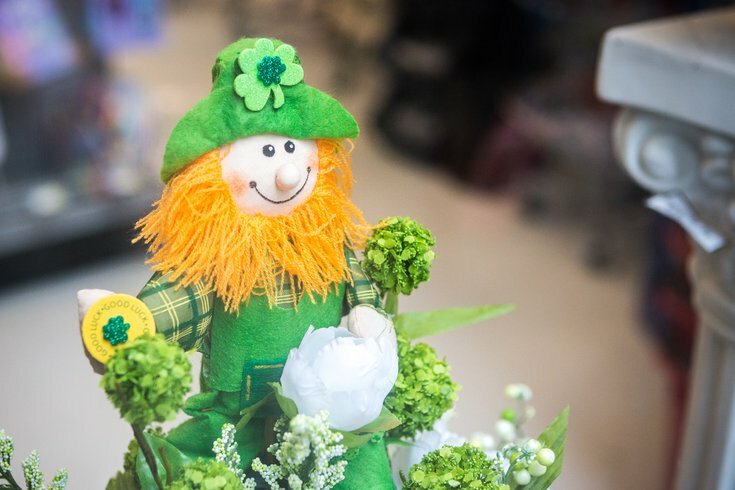 4 for the best and most St. Patrick’s Day traditions, the spotty weather – remember when it snowed twice this month already – hurts its holiday weather ranking (No. 57). Take a look at the full study here.